The Bikini Model Challenge – are you ready to step up? Are you a current or former Bikini Model who is always looking for a new challenge? Do you have dreams of being on an international stage? Flexr6 can make this a reality! Team Flexr6 has taken over 80 Bikini Models to the national and international stage since 2010. 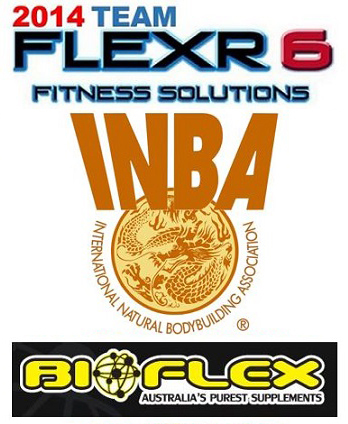 Flexr6 Bikini Models all compete with the International Natural Bodybuilding Association (INBA) across the globe. At Flexr6, we will provide you with national and international exposure for you and your brand! Team Flexr6 has a strong working relationship with Procon Leisure which will make your transition from a Bikini Model to a Flexr6 Bikini Model seamless. This year Bikini Model, Valeria Sizova joined Team Flexr6 for her first ever INBA competition. Valeria placed first in her Bikini division and first in the Angels division at the INBA Sydney Championships. Valeria will also be onstage at the INBA NSW State Championships & the INBA Natural Universe in Brisbane, 2018. When you join Flexr6 as a Bikini Model we can get you onto that international stage at the INBA Natural Universe in Brisbane on 22 Sept! If this is your dream then it will give you worldwide exposure as a Bikini Model! In early 2019, Flexr6 will also be promoting its own INBA international event in Sydney, Australia and we are looking to create a strong team of Bikini Models for this competition. Team Flexr6 is an extremely positive and motivating environment. We provide you with this via our closed groups on the Flexr6 Global App & Facebook. Send Flexr6 a message via our contact form at the bottom of this page or better still use our chat box – this will go straight to Ken on Facebook Messenger! We will respond to you within the hour!